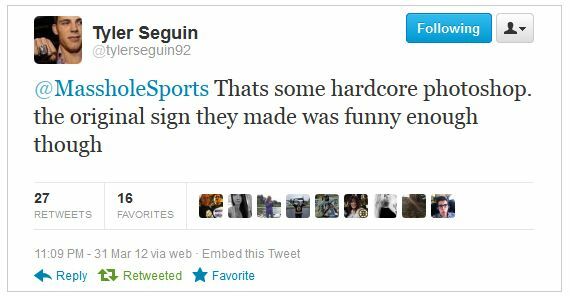 Masshole Sports: BUSTED: Tyler Seguin Called Me Out On Twitter For Photoshopping Fan Sign. What A Friggin Buzz Kill. BUSTED: Tyler Seguin Called Me Out On Twitter For Photoshopping Fan Sign. What A Friggin Buzz Kill. 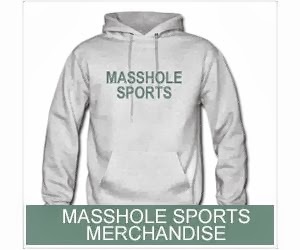 On one hand, Im flattered that Tyler Seguin is paying attention to us Massholes. But the dude called me out for photoshopping a fan sign! I guess I have to come clean. I did indeed photoshop the picture (see below). Bruins Win Despite The Joe Corvo "Liabilty"
Bruins Fan Of The Night: "We Need Dicks"
Is Jose Canseco Coming Back To MLB? And The Masshole Revolution Has Begin! (VIDEO) Jimmy Fallon Brings Back "Tebowie"
Bruins Win Two In A Row…Lets DANCE!!! So, Should We Choose The Tobin Or The Zakim? Step Away From The Tobin....Its Not THAT Bad. Is Jose Canseco Man Flirting With Me? Jason Varitek's Wife Is Pregnant?